Hiroyasu Ito, chairman of the Tsukiji Market Association, has been “extremely shocked” twice in the past two weeks by the latest twist in the world-famous fish market’s relocation plan. The chairman of major fish wholesaler Chuo Gyorui Co. had seen subsidiary Hohsui Corp. invest ¥7 billion in preparations for the move from Tokyo’s Chuo Ward to the Toyosu district about 2 km south. But on Aug. 31, new Tokyo Gov. Yuriko Koike, elected July 31, suddenly announced that the Nov. 7 relocation would be suspended over soil pollution concerns at the Toyosu site. The second shock came on Sept. 10, when Koike revealed that the Tokyo Metropolitan Government did not place a layer of clean soil under the five main structures at Toyosu as promised, reviving public concerns about soil pollution at the Toyosu site. According to Ito, the fish dealers in his association have invested “tens of billions of yen” in the Toyosu relocation plan. “The construction of the buildings has already been finished. 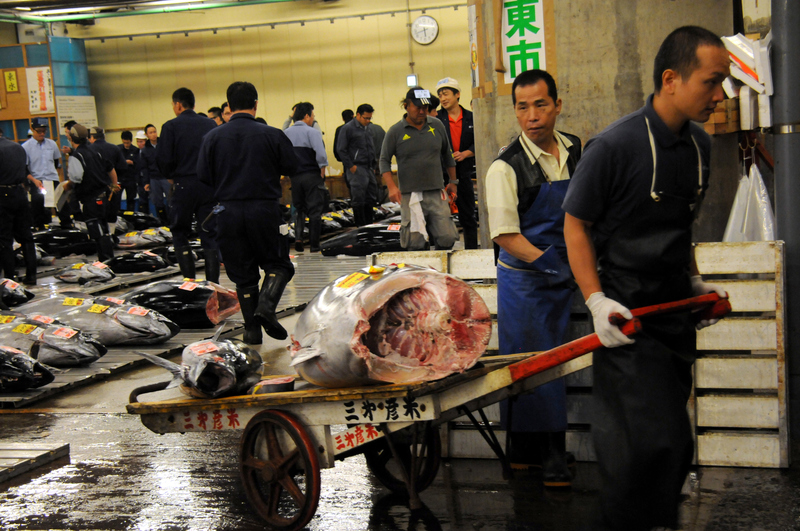 I’ve been so shocked,” Ito told reporters Tuesday at Tsukiji. Over the past 20 years, the fish wholesalers at the venerable 81-year-old Tsukiji market have been deeply split by the relocation plan. The flaws revealed by Koike will further deepen that divide and maybe even result in the project’s termination. At a news conference on Sept. 10, Gov. Koike didn’t rule out the option of killing the ¥588.4 billion project and instead refloated the idea of renovating Tsukiji — an idea that was eventually abandoned by the metro government over cost and timeline concerns. “I’ll wait for an objective judgment (on the safety issues). 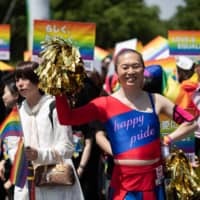 Then I want to choose the wisest way to spend” the taxpayers’ money, Koike said. The metro government came up with a controversial soil replacement plan under Shintaro Ishihara, who was governor from 1999 to 2012, to win over Tsukuji employees and customers who felt uneasy about the Toyosu site, which was known to be heavily contaminated with chemicals from a gas plant that stood there from 1956 to 1988. 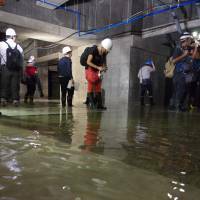 But Koike revealed last month that the 4.5-meter layer of clean soil that was supposed to blanket the entire Toyosu site was missing under its five main buildings, which occupy 13.4 hectares of the 40-hectare property. This means that about a third of the site has not been insulated by clean soil as set out in the metro government’s relocation plan. Metro bureaucrats say groundwater and air surveys show that the density of the toxic chemicals in Toyosu is below their safety limits, and experts say the current levels don’t pose any danger to human health. According to the plan, the top 2 meters of soil were supposed to be removed, decontaminated and returned to the compound to be topped by another 2 meters of clean soil. But this only occurred in areas other than where the five structures now stand. 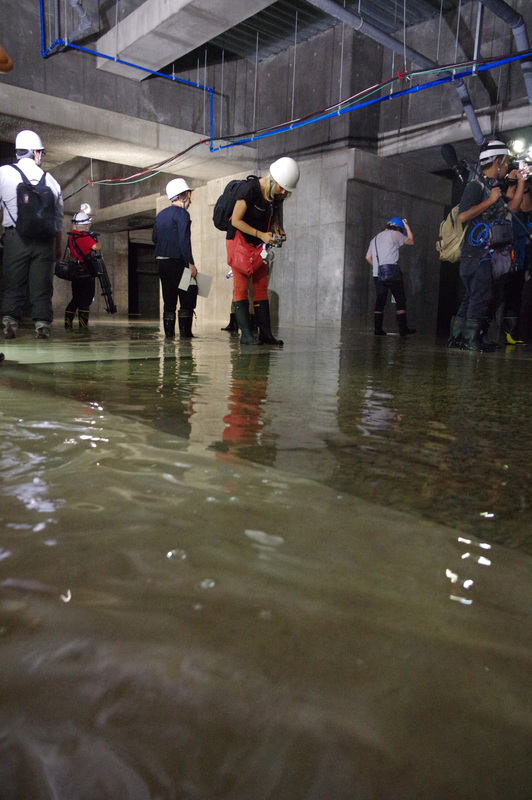 Koike’s disclosure has generated more doubts about the metro government’s construction work and upset the major fish dealers who decided to back the relocation project. As for the fish dealers, suspension or termination of the relocation project will cause huge financial losses. Hohsui has already begun chilling its newly built 23,000-ton storage warehouse in Toyosu to a frigid 60 degrees below zero. 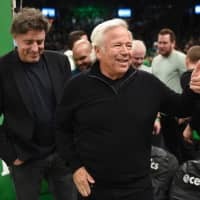 The cooling process cannot be halted because raising the temperature would severely damage the facility, a company official claimed. Wholesale merchants in Tsukiji are already calling on the metro government to compensate them for any damage caused by suspension of the relocation project. In the meantime, many small and intermediate fish wholesalers have welcomed Koike’s decision and a new investigation into Toyosu’s contamination problem. 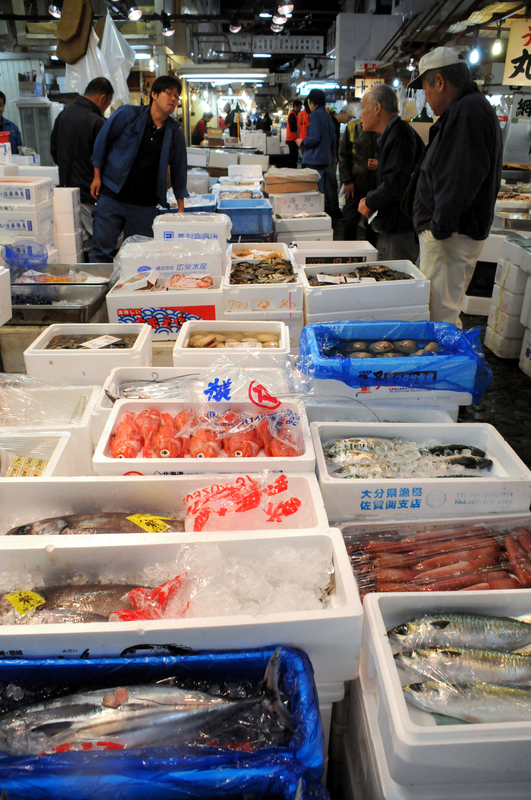 Intermediate businesses buy seafood from wholesalers for sale to retailers and restaurants. About 570 intermediate wholesale businesses now have shops at Tsukiji. “The problem is toxic gas. 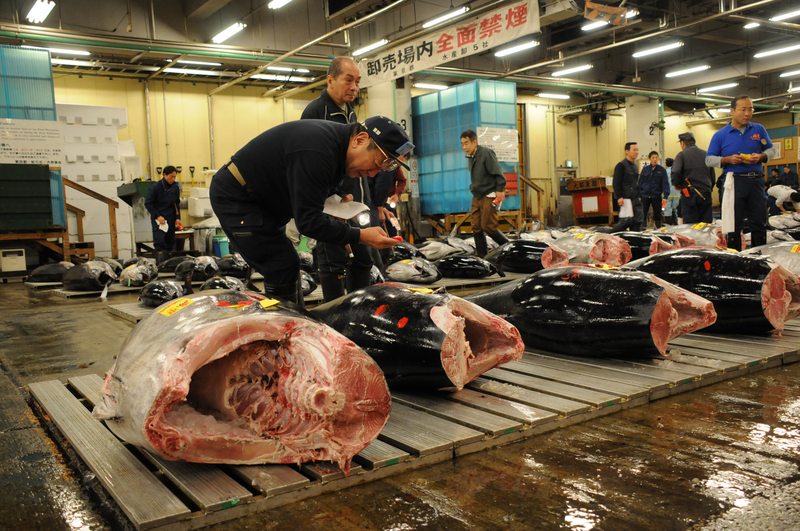 I don’t want to sell fish and work at such a place,” said Yukio Kato of Koei, an intermediate tuna wholesaler at Tsukiji. Benzene, one of the chemicals left in the soil and groundwater at Toyosu, transitions to a gas easily. “Unless every problem is solved, I won’t feel comfortable moving to Toyosu,” he said. 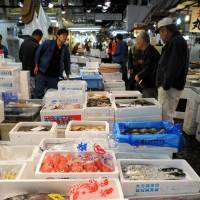 Many Tsukiji fish dealers interviewed by The Japan Times said the facilities prepared for them at Toyosu lack features critical to handling fish. For example, the drain outlets in the floor are too small, even though fish merchants regularly use large amounts of water to wash away scales and small pieces of meat. Many also complain the shop spaces allocated to them are smaller than those at Tsukiji. The smallest shop compartment is 1.5 meters wide. 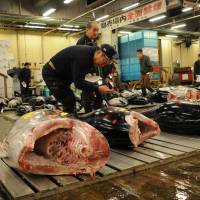 Some tuna wholesalers have lamented they cannot even cut the huge fish in their own shop. Citing sanitary reasons, the metro government decided to separate the shop compartments with walls and shutters. This automatically narrowed the amount of space available for each shop. “People who don’t know anything about a fish market designed the Toyosu site. We were never consulted,” said Tai Yamaguchi of Tsukiji-based fish merchant Hitoku Shoten. 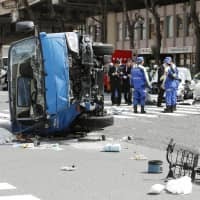 Echoing many other Tsukiji workers, Yamaguchi said the staff of Hitoku Shoten have been allowed to visit the company’s new shop compartment in Toyosu only two to three times so far. To visit the site, a fish dealer needs to obtain written permission from the metro government. Only a few people are allowed to visit at one time because of the ongoing construction work. “We don’t have much information about Toyosu yet. 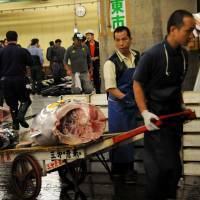 We are still unable to get a clear image of how we will work there,” said Eiji Ikuine, president of the Tsukiji-based intermediate fish wholesaler Eikoh-Suisan. “We even don’t know where our customers can park their cars at Toyosu. If the market opens in November, we would just see chaos,” he said, welcoming Koike’s decision to freeze the relocation plan.